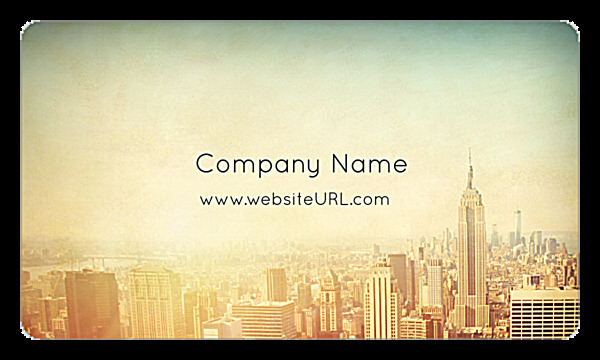 Make your business card printing dreams a reality with our Cityscape Dream design template. Cityscape Dream is a simple, minimalist design that is ideal for almost every industry. 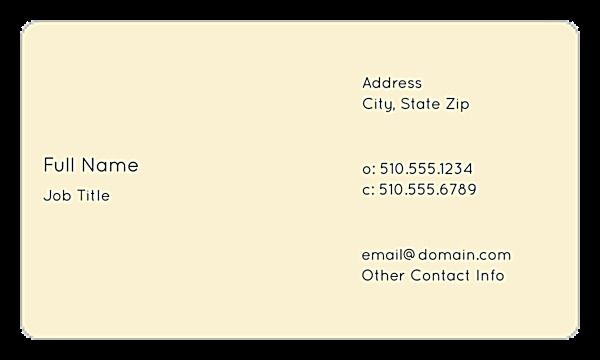 This business card template is available in a variety of color schemes such as tan, gray or sepia. Plus, there are four different trims, including rounded corners and leaf-shaped options. Our online design tool works like a dream, too. Select your trim and color options, and then personalize this design online by adding your name and company name, as well as your website, phone number, email and more. Once you have created a custom business card design that you love, you can select your paper stock options and printing turnaround, and place your order. It’s that easy. Also, you can create a downloadable PDF of your personalized design to share with colleagues and friends. Business cards are a must-have marketing staple. Your business cards make a statement about you and your company, and professional printing is the best way to make professional impression. Our business cards are printed on premium, high-quality paper stock, so your business card is sure to feel sturdy and make a powerful impression. Need your business cards quickly? That’s not a problem with our fast printing turnaround. We are so sure that you will love your business card that we offer a customer satisfaction guarantee. Try our business card maker today at PsPrint.